I went to my favorite grocery shop last week, they were having special price for bio fruits, including banana. So I bought a few too many. Why? Do I like banana so much? not really. Because it was bio? no, definitely not, I don't even know what is bio banana. Was it because its on special? heck no, you know how bio products tend to be overpriced, so even if they were on special, they would never be that cheap. So why was it then? Simple answer; it was because I was HUNGRY. I know I know, people said you shouldn't do grocery shopping when you are hungry. And they were right. I shouldn't. I was only going to buy the ingredients for my dinner that day, but I ended up buying the ingredients for dinner, breakfast, and lunch....enough for the next three months... #sigh. As we all know, banana goes bad fast. I had few overripe banana to do something with. Something easy and simple. So don't be surprised if the few upcoming recipes are about bananas. I am going banana for these bananas. 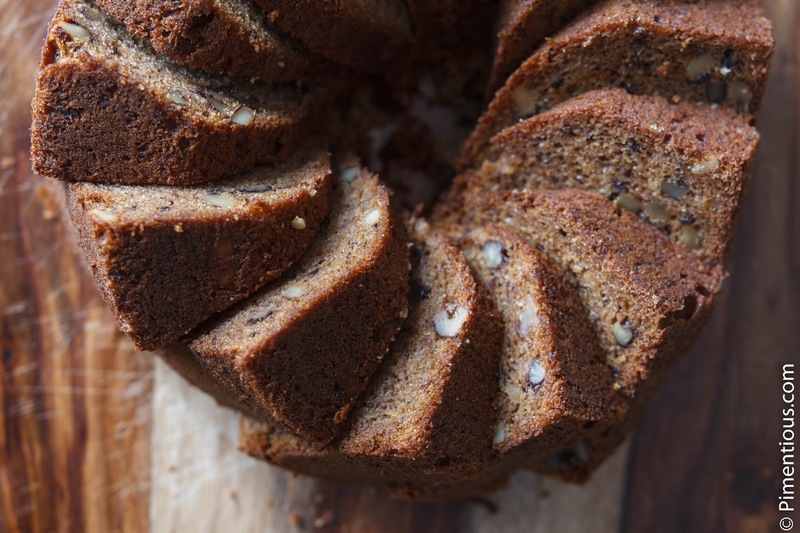 When I think about putting banana in a recipe, the first thing come to mind will be banana bread. Especially the one from my favorite coffee shop around the corner. 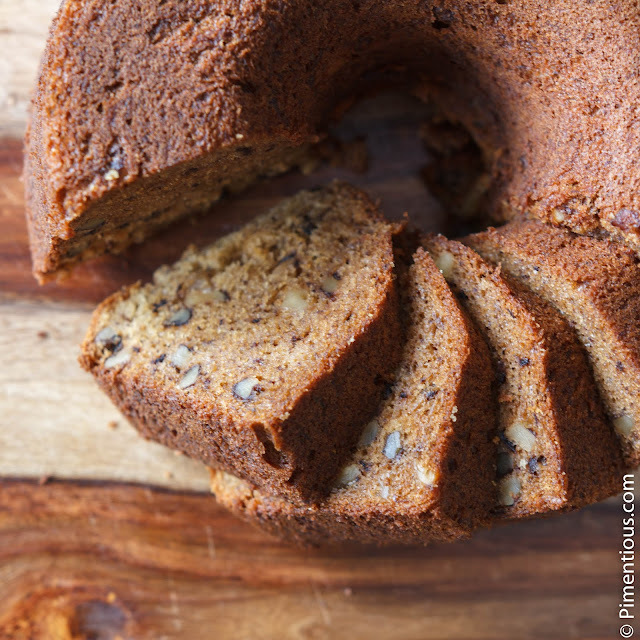 They have this amazing sweet-smelling and moist banana bread with walnut. It just yummy. Overpriced, but yummy. It goes awesomely with my coffee. It tastes more or less like this recipe I am writing. It is not the shop's secret recipe tho, instead I use this recipe here, and give it a tiny little twist. Et voila, the awesome banana bread is ready to be devoured with a cup of coffee. Sharing with others is completely optional.